I would like to know the difference between annulment and divorce. Is it possible to annul a marriage in Bangladesh? In what circumstances may one claim to annul a marriage? Looking forward to your response. Thanks for your query. I have understood that you are desirous to know about annulment of marriage and divorce. It is notable that in Bangladesh, family law is mostly personal; i.e. depends on the religion of the person concerned. Accordingly, the marriage and divorce of Muslims are governed by the Muhammedan law. Divorce is the mechanism to bring an end to a valid marriage. Under the Muslim law, the husband has the automatic right to divorce. But the same can be delegated by the husband to the wife or any other person. In recent times, it is a common phenomenon that husband delegates the right to divorce to the wife. You may find the delegation of such right to you at clause 18 of your Kabinnama /Nikahnama. Exercising the said right, a wife can unilaterally divorce. It is notable that divorce is not legally termed as 'annulment of marriage' in Bangladesh. In fact, the term 'annulment of marriage' is not widely recognized in our country. A valid marriage can be dissolved by way of divorce. However, sometimes a marriage may be termed as 'illegal'. Such marriage is deemed to be illegal from the very beginning as if the marriage has never been taken place. So, if the marriage itself is not recognized, there is no scope for any divorce. Such marriages are automatically terminated immediately at the time of intended execution of the purported marriage. If a Muslim married woman gets married to another person during the continuance of her first marriage, then the second marriage will become illegal. On the other hand, a Muslim man is prohibited from marrying (1) his mother or his grand mother how high so ever; (2) his daughter or grand-daughter how low so ever; (3) his sister whether full, consanguine or uterine; (4) his niece or great-niece how low so ever; and (5) his aunt or great aunt how high so ever, whether paternal or maternal. A Muslim man is also prohibited from marrying (1) his wife's mother or grand mother how high so ever; (2) his wife's daughter or grand daughter how low so ever; (3) the wife of his father or paternal grand father how high so ever; and (4) the wife of his son or daughter's son how low so ever. 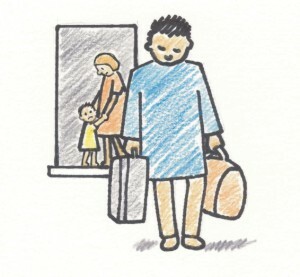 Furthermore, any Muslim Man is prohibited by consanguinity or affinity is prohibited by reason of fosterage except certain foster relations, such as sister's foster mother, or foster-sister's mother, or foster-son's mother, or foster brother's sister, with any of whom a valid marriage may be contracted. In the aforesaid scenarios, the law will not recognize that the marriage has ever taken place and shall be deemed as 'illegal' from the very beginning. But, for record purpose a declaratory suit may be filed whereby the family court shall declare the marriage as illegal. This is needed only for record purposes. 9. The husband treats the wife with cruelty that is to say for example habitual assault; living a notorious life by the husband; forces the wife to do immoral acts; disposes of wife's property; restraining her from religious practices; etc. I hope that the above shall clarify your query. In case of a mutual divorce, you may simply consult with a Kazi. In case where the divorce is one-sided and the husband is not willing to co-operate, you should consult with a lawyer in addition to the Kazi. Any divorce has to be registered under the Muslim Marriages and Divorces (Registration) Act 1974. To show respect to family life and for the best interest of the child, if any, I always advise the couples to think twice with a positive mindset to resolve the matrimonial problems amicably so that the need for divorce can wither away. However, even after giving proper thoughts and reasonable efforts, the things do not change or the causes for divorce remain, you should go for the dissolution without wasting very long time. We all look forward to have happy and prosperous family lives!